Sealants fill a gap between at least two substrates and form a barrier by means of their physical properties. As a reference organisation for the canmaking industry, ACTEGA offers a broad portfolio of sealants for food cans. These products are characterized by water and oil resistance as well as a wide range of seaming conditions. 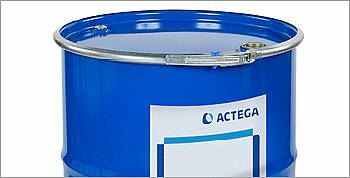 ACTEGA sealants are used for round and non-round ends aluminum and tinplates.